If ‘economic, social and cultural rights’ are written only as ‘decoration,’ then there is a possibility of incorporating most or all of them in a constitution, as recognized in international instruments. However, considering that even allowing ‘public interest litigation’ is serious business, what is proposed here limits to (1) the right to work, (2) right to education, (3) right to health care and (4) cultural rights, both as individuals and groups. The Public Representations Committee (PRC) on Constitutional Reforms had requested the public to submit proposals on ‘Fundamental Rights and Duties,’ among other 20 titles, the 15th of March being the deadline. The PRC also requested people to submit proposals on ‘Directive Principles on State Policy.’ It was my proposal, published previously, to give prominence to duties under a chapter on “Fundamental Duties of the State, Political Parties and Citizens,” instead of a chapter on State Policy, but incorporating some of the important public policy matters. On the question of ‘Fundamental Human Rights and Freedoms’ following are the proposals submitted which are self-explanatory. In addition to the incorporation of some key ‘economic, social and cultural rights,’ the right to life, abolition of capital punishment, media and academic freedom, non-discrimination on sexual preference, dual citizenship, and the emphasis on responsibilities along with rights, as appropriate, can be considered some of the new proposals. Constitutional writing is different to normal (technically) detailed legislation. And also in view of the possibility of having post-enactment judicial review, an effort was made to be brief, and stick only to the principles, leaving unnecessary details aside. All citizens of Sri Lanka have the inherent right to life. This right shall be protected by law under all circumstances. Sri Lanka shall not impose capital punishment for any crime, but impose appropriate and well-defined punishments as deterrence and prevention. All citizens have liberty and security of person, and entitled to privacy. They are free and equal, individually or collectively, in dignity and fundamental human rights enshrined or implied in this constitution irrespective of race, ethnicity, religion, gender, language, caste, economic status, sexual preference, political opinion or any other distinction. They are endowed with reason and conscience and should act towards one another in a spirit of brotherhood and responsibility. Every person in Sri Lanka is entitled to freedom of thought, conscience and religion, including the freedom to have, practice or to adopt a religion or belief of her/his free choice. No one should be prohibited or discriminated for wearing attire prescribed by one’s own religion or belief. 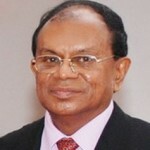 No person in Sri Lanka shall be subject to torture or to cruel, inhuman or degrading treatment or punishment. The police and the armed forces have special responsibilities in safeguarding this freedom from torture of the citizens. All citizens are equal before the law and are entitled to the equal protection of the law. No one shall be discriminated against on the grounds of race, ethnicity, religion, language, caste, gender, sexual orientation, political opinion, place of birth or any such grounds. No person on the above grounds shall be subject to any restriction or condition with regard to access to public and open amenities (shops, restaurants, hotels, play grounds etc.) unless they are by law declared as private places, or religious places limited to their own members or adherents. Nothing in this Article shall prevent affirmative action or provision made under law for the advancement of children, women, disabled and the needy or marginalized sections of society. Reasonable language, educational or other requirements necessary for employment, professions or services shall not be interpreted to mean discrimination. No person shall be arrested except according to the due process of law. In case of arrest, she/he should be informed of the reasons of arrest at the time of arrest. Every person held in custody, detained or otherwise deprived of personal liberty shall be brought before the judge of the nearest competent court according to procedure established by law, and shall not be further held in custody, detained or deprived of personal liberty except upon and in terms of the order of such judge made in accordance with procedure established by law. Any person charged with an offence shall be entitled to be heard, in person or by an attorney-at-law, at a fair trial by a competent court. No person shall be punished by death. No person shall be punished by imprisonment except by order of a competent court, made in accordance with procedure established by law. The arrest, holding in custody, detention or other deprivation of personal liberty of a person, pending investigation or trial, shall not be executed as punishment. Every person shall be presumed innocent until she/he is proved guilty. However it is the duty of such persons to cooperate with investigations. No person shall be held guilty of an offence on account of any act or omission which did not, at the time of such act or omission, constitute an offence or crime, according to the national laws or to the general principles of law recognized by the community of nations. No penalty shall be imposed for any offence more severe than the penalty in force at the time such offence was committed. All citizen shall have the right to hold opinions without interference. Every citizen shall have the right to freedom of expression including publication. This right shall include freedom to seek, receive and impart information, ideas and knowledge of all kinds, either orally, in writing, in print or electronically, in the form of art or through any other media with social and personal responsibility. All academics broadly defined as part of the larger community shall have academic freedom for the promotion of teaching, research and knowledge with social and personal responsibility. All journalists broadly defined as part of the larger community shall have media freedom for the promotion of information, news, justice and social awareness with social and personal responsibility. Freedom of expression shall not be abused by anyone to propagate war, advocacy of ethnic or religious hatred that constitutes incitement to hostility, conflict or violence. Other restrictions on freedom of speech and expression shall be explicit and shall only be as provided by law for the respect of the rights and reputation of others, or for the protection of national security, ethnic and religious harmony, public order or public protection in the country. Every citizen has the right to freedom of association with others and peaceful assembly. The freedom of association includes the right to form and join trade unions for the protection of employment, wages and working conditions. There can be lawful restrictions for certain categories of employees to form or join trade unions i.e. armed forces. Every citizen has the right to engage by herself/himself or in association with others in any lawful occupation, profession, trade, business or enterprise. The freedom of association also includes the right to form employers’ federations or such organizations for the protection of private enterprises or companies. Every citizen has the right to form or join associations to promote political objectives or cultural, language or religious interests. There can be laws promoting the registration of all such associations while the registration is primarily voluntary except in the case of political parties for electoral purposes. All associations shall govern by the prevailing laws and when there are conflicts, particularly in the case of trade unions, those shall be resolved through collective bargaining or through judicial procedures. In peaceful assembly, every citizen shall refrain from violence and damage to property or any undue obstruction to day to day life of other citizens. Every citizen has the right to freedom of movement and of choosing her/his residence in any part of Sri Lanka, personally or with family, without disturbing the peaceful living of others. The freedom of movement includes the right to seek employment abroad or to lawfully migrate to another country temporarily or permanently subject to relevant international laws or laws of those countries. Such citizens have the freedom to return to Sri Lanka and/or seek dual citizenship. Every citizen has the right and responsibility to work. This means the opportunity to gain her/his living by work that she/he freely chooses or accepts and to take appropriate steps to gain and safeguard this right. The realization of this right will depend on the educational, technical and vocational training and guidance that the State can supply in association with the private and the non-governmental sectors and the sustainable economic and social development of the country. The right to work also includes the right of every working person to have equal remuneration for equal work, in particular between men and women, and safe and favourable conditions of work with reasonable minimum wages and working hours. Every citizen has the right to education and responsibility to seek proper education for oneself. Parents have responsibility to guide children in this respect. Education shall be directed to the realization of gainful employment and to the full development of the human personality and the sense of its dignity and shall strengthen the respect for human rights and responsibilities. Education, formal and informal, shall enable all citizens to promote understanding, tolerance and friendship among all ethnic and religious communities and shall promote peace and reconciliation, nationally and internationally. Parents have the right to choose a school for their children and equal opportunities shall prevail. Education shall be compulsory up to GCE O/L examination, provided in one of the national languages, Sinhalese or Tamil, of parents’ choice. Education shall be available free at public schools throughout and all public universities. Anyone may pursue education at private school or private university. Common standards shall prevail. The State shall provide technical and vocational education as appropriate to those who cannot enter university or seek employment otherwise. The State shall expand free university education. University education shall be suitable to employment opportunities including competence in English. The creation of conditions which would assure to all citizens necessary medical service and medical attention in the event of sickness. Every citizen shall have access to free healthcare, including dental care, and medical services as necessary through public hospitals, clinics and such institutions including free medication to the needy and the poor sectors of society. The State shall continue and expand the public hospitals and health care facilities and provide free health services. Every citizen has a right to obtain medical drugs at affordable prices. The State shall have a national medical drugs policy to ensure all necessary medical drugs are affordable and available. Every citizen has the right, personally or in association with others, to take part in cultural life of Sri Lanka and her/his own community or region. The realization of this right shall include those necessary steps for the uncovering and conservation of the cultural heritage of the country at national, provincial and local levels. Any wilful damage or desecration of cultural artefacts or places shall be an infringement of this right. Every citizen has the right, personally or in association with others, to promote one’s own language, literature, culture, traditions and customs however in conformity with human rights of all. For the cultural promotion of the country and communities, all citizens shall respect the freedom indispensable for creative activities of individuals and groups. Cultural promotion in the country shall attract international respect and promote cultural tourism. In interpreting any of the rights or articles of this chapter, the courts may refer to the UN Declaration of Human Rights (UDHR), the International Covenant on Civil and Political Rights (ICCPR) or the International Covenant on Economic, Social and Cultural Rights (ICESCR) or any other international convention. There shall be a distinction between the application of civil and political rights, on the one hand, and the application of economic and social rights, on the other, enunciated in this chapter. Every citizen shall be entitled to apply to the Human Rights Court, in respect of any infringement or imminent infringement, by legislative, executive or administrative action, of a fundamental human right enunciated in sections from 1 to 9 to seek personal redress. If the infringement is outside the premises of the public authorities, the Human Rights Court may refer the matter to the Human Rights Commission for redress or settlement. In respect of economic, social and cultural rights enunciated in sections from 10 to 14, public interest litigation would apply. Nevertheless, only registered trade unions or other associations could file such applications. The purpose of public interest litigation would be to seek policy and/or administrative improvements or corrections in respect of the absence, non-protection or infringement of those rights. The recommendations of the Human Rights Court in the form of determinations shall be binding on the public institutions, authorities or personnel who are responsible for the promotion and protection of such rights.